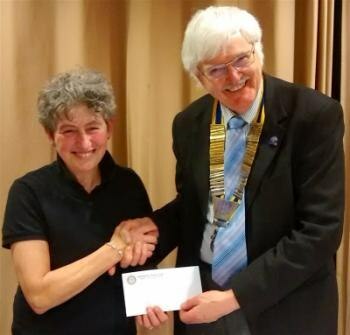 Chrissie Lawson, the clubs new President for 2018 presented the 6th Year leavers from Cordwalles School with the Rotary dictionairies. 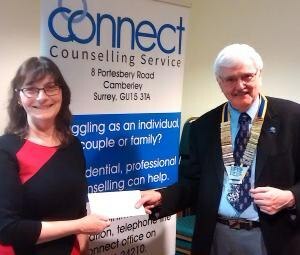 This week Cathie Russell, director of Camberley based Connect Counselling received a cheque for £400 on behalf of the charity, presented by President Brian Summers. 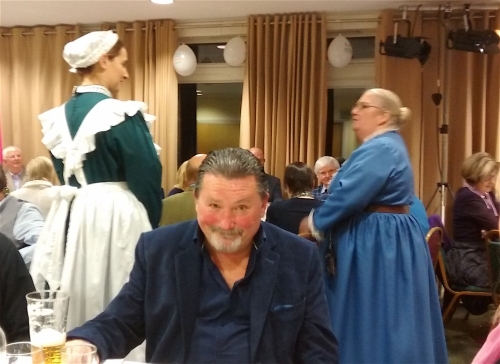 The Club in association with The Rickmansworth Players presented A MURDER MYSTERY DINNER which Raised £2045.00 !! 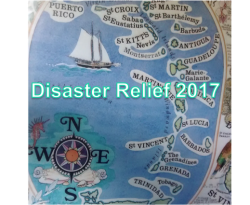 Our Christmas collection for 2018 - Christmas lights switch on Camberley Town centre , Park St 17th November ; 9th December Waitrose Frimley ; 20th December Waitrose Bagshot. 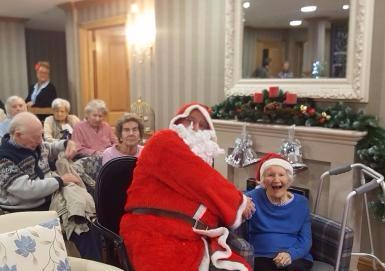 The club really pulled a surprise out of the hat this year with its annual Tea Party for members of 'Contact the Elderly'.